promoting police accountability through citizen action. As part of Peace and Justice Works, PCW adheres to principles of non-violence. Copwatch is a movement, not a franchise. Check with us to see if a copwatcher you encounter is with PCW. EMAIL NOTE: PCW switched to a new server in Nov 2017.
or if you want to be added! the in-custody death of James Chasse, Jr.
the Joint Terrorism Task Force (JTTF). READ MORE-TAKE ACTION! 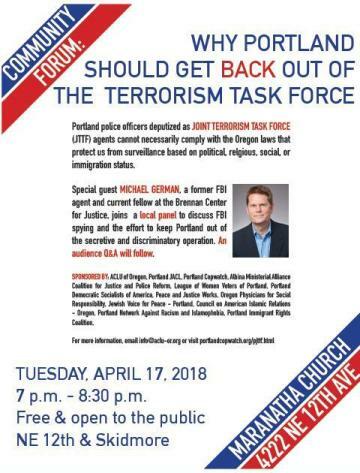 of April 9 to come up with a plan for how the PPB will interact with the FBI in the future. and video of a copwatcher manhandled by police. 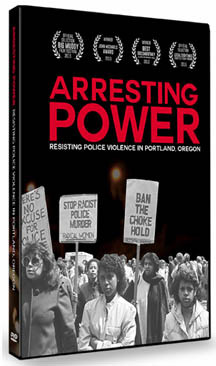 In 2012, the US DOJ found a "pattern and practice" of excessive force by the PPB. on Thursday, April 19, 2018 at 9 AM. on progress and outcomes of the agreement. 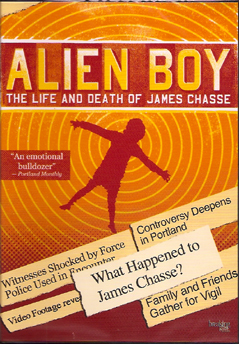 Copies of "Alien Boy: The Life and Death of James Chasse, Jr"
Hey! 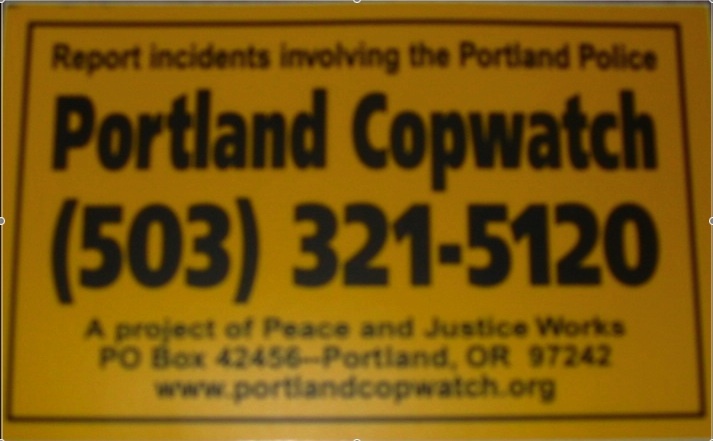 Would you like to have your very own Portland Copwatch sticker? 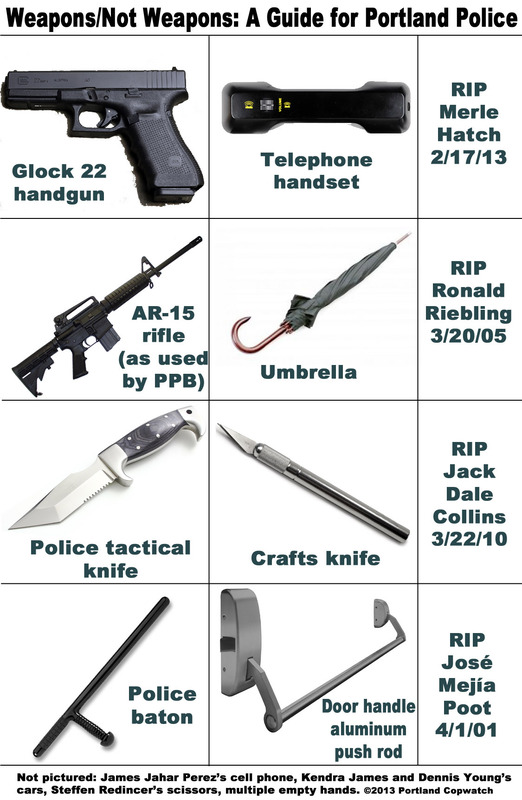 Decorate your bike, car, backpack, notebook, front porch, or whatever! Send us a self-addressed, stamped envelope. We can send up to 8 4"x2.5" stickers for 1 stamp. Contact us if you want us to provide a training for your organization! others around the nation. 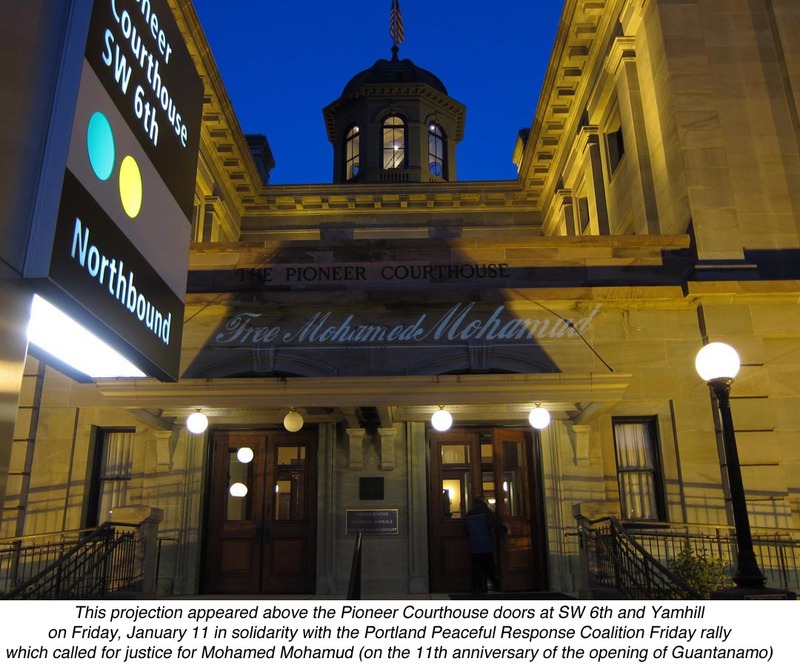 His January 2013 trial ended in a guilty verdict. from January, 2007 until it was disbanded in late 2008. Read previous years' annual report analyses. 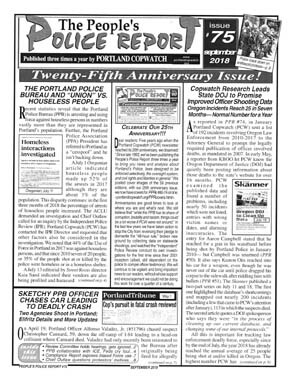 Copwatch Conference in Oakland July 13-15, 2007.
held at Portland State University, October 15-17, 2004. Download a "No Warrant, No Entry" flyer to post at your home.